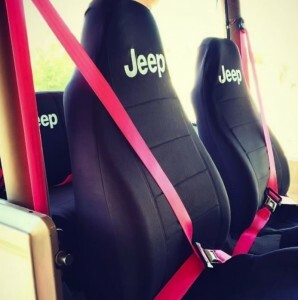 Hot Pink seat belts on a Jeep? ABSOLUTELY! Congrats to Simone for her beautiful Jeep. 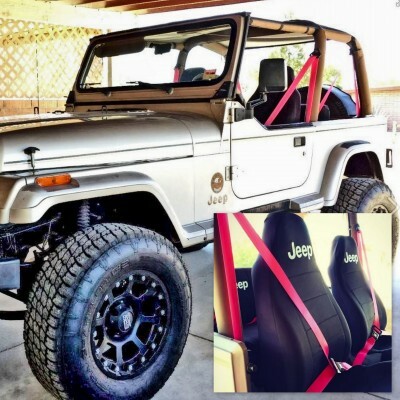 From Jeeps to Lamborghini's to Dodge trucks and everything in between, we have over 50 colors of seat belt webbing...which will you choose! ?